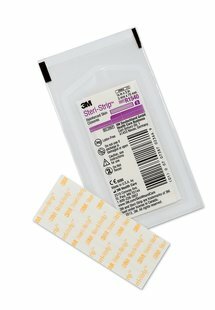 3M Steri-Strips enhance patient comfort and lessen chances of infection and scaring than with sutures or staples. Porous, non-woven backing coated with a pressure-sensitive, hypoallergenic adhesive. 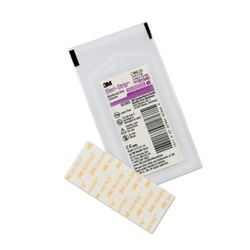 Reinforced, non-woven, white skin closure strips that measure 0.125" x 3". Strips are sterile and latex free. Comes in a box of 50.